I don't think Dior can ever really go wrong overall when they bring out new collections. These designs were not an exception to this. They were gorgeous, feminine pieces. For the majority of the collection the colour palette was kept light and bright with whites and pastels making up many pieces. However, as expected from an Fall collection there were also a large number of pieces that were darker, earthier shades. There was a great mix of glamorous, more extravagant dresses mixed in with more some more casual pieces - which still remained sophisticated and smart. The pieces had great stucture to them and movement as they went down the catwalk. 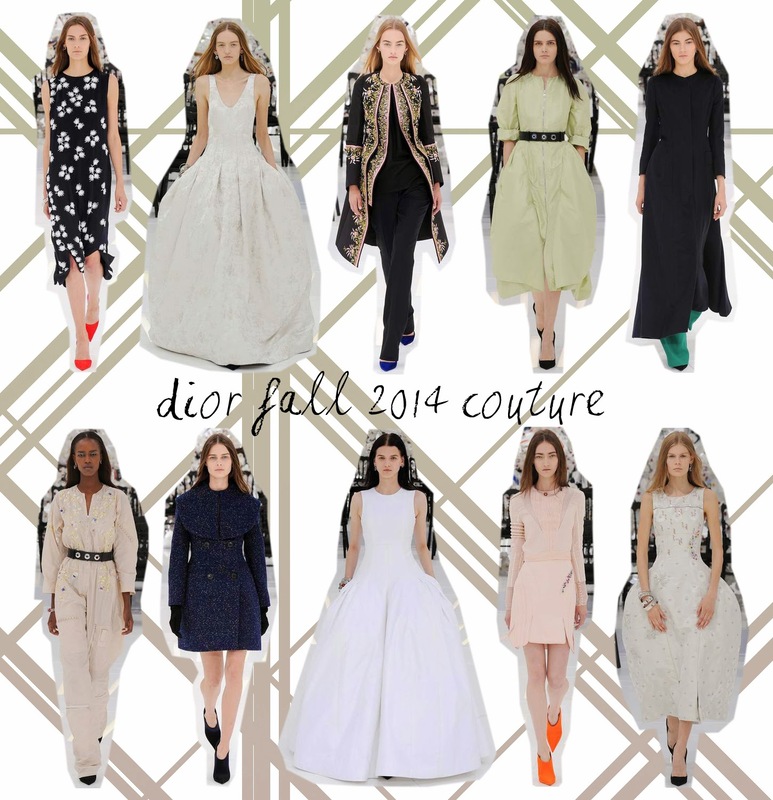 Overall, another really nice collection from Dior and a great addition to this seasons Couture fashion shows.